In changeful Bengal, take a trip closer to the grassroots. 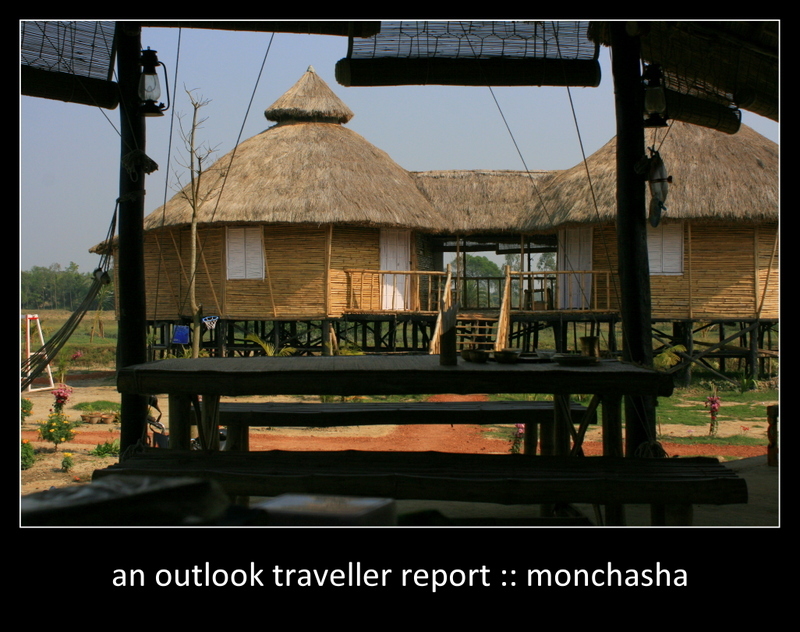 Mon Chasha, in East Midnapore, is a miniature rural tourism resort on the banks of the Bagda, a few hours from Kolkata. Here you will be housed in bamboo huts thatched with hogla, erected and decorated solely by local crafters and artisans, using native vegetation—bamboo, paddy straw, palm leaves and jhau (tamarisk). Groves of sal add shade. Labelled herbs and trees make a great playground for children in the lap of nature, a refreshing change from plastic-podded kids’ clubs; there is also a place for guli-danda, kumir-danga, ekka-dokka, bagh-bondi and lukochuri down down Tala Bhangar Path. Harvested rainwater feeds twin ponds where freshwater fish are farmed for table—a more sustainable alternative to prawn cultivation, which renders the land brackish. A two-cow dairy and chickens round out meals cooked and served homestyle in the Banglar Mukh dine-in kitchen. The local speciality is goynabori, crisp-fried sun-dried lentil cakes piped into filigree jewellery (goyna). Performances by Chhau, Jatra-pala, Baul-Fakir and Raibneshe artisans, story-telling and craft demonstrations are organised. Proceeds from Mon Chasha fund a local orphanage in the village of Paushi—indeed, that’s its primary purpose for existance. Solar panels and biogas power the property. Composting feeds the kitchen garden. Rest easy, then, in the knowledge that your stay not only puts you in touch with your own roots but also supports the local community.